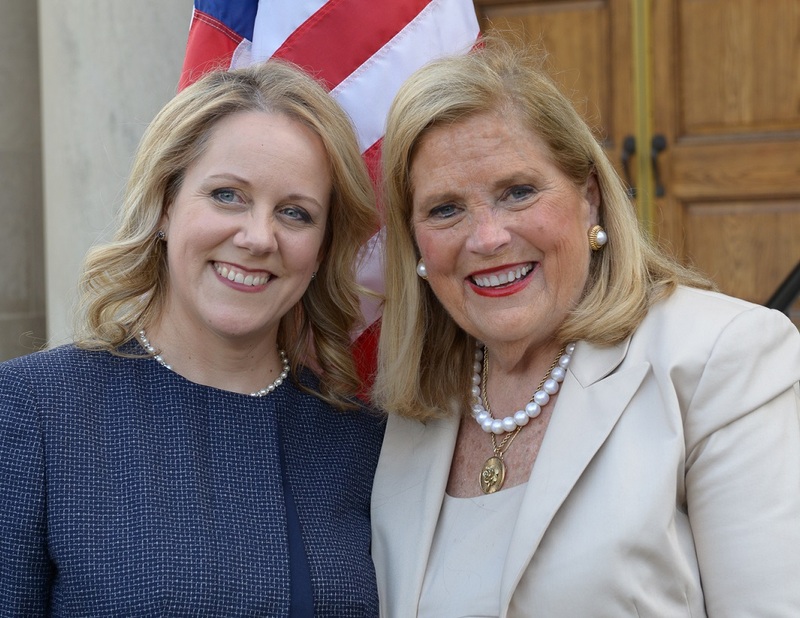 It is an honor to be chosen to follow Patti Bellock as the State Representative for the 47th District. I’m proud to follow this district’s long tradition of having strong women to represent it in Springfield. That culture will continue through my service. In addition to my new role in the General Assembly, I also currently serve as the Chairman of the College of DuPage (COD) Board of Trustees, a position I have held since April 2015. I am also a founding partner of Rakoczy Molino Mazzochi Siwik LLP, a firm that specializes in life sciences law, particularly patent litigation in the medical/pharmaceutical arena. I am often asked why I would want to serve in the House of Representatives during such a dysfunctional time in our state’s history. It’s simple- Illinois is full of wonderful people doing great work. I believe our state goes astray when it abandons the principles of an efficient, limited government; severs the ties between a promise and accountability for keeping it; and takes local control away from the institutions that impact our lives the most. I believe our government must spend its dollars wisely and consistent with our Constitution; respond to Illinois families’ needs, and help our citizens to ensure our state is a source of pride and offers plenty of opportunities for the current generation and beyond. I am shown in the top picture surrounded by my family as I take the oath of office and in the middle photo with my predecessor Patti Bellock. 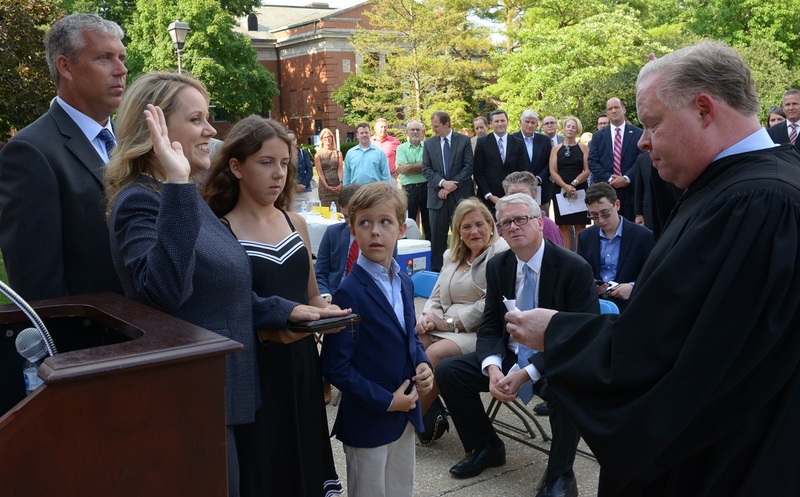 I share this bottom photo with area lawmakers who attended the swearing in ceremony on July 24. 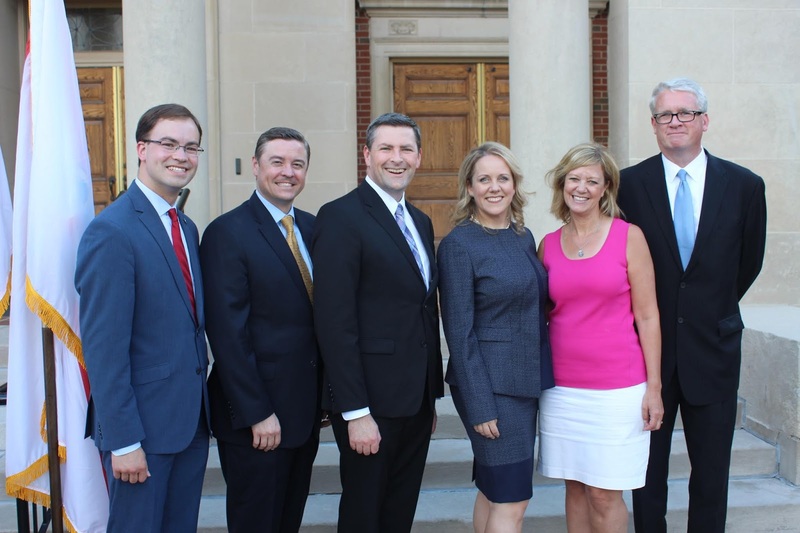 Those in the photo include State Rep. David S. Olsen (R-Downers Grove), State Senator Chris Nybo (R-Elmhurst), State Rep. Peter Breen (R-Lombard), State Rep. Jeanne Ives (R-Wheaton) and House Republican Leader Jim Durkin (R-Western Springs). As one of my first official acts as a State Representative, I rejected a legislative pension and declined participation in the State’s health insurance program. The Illinois pension systems are woefully underfunded, yet cost 23% of our entire state budget in 2018. Medical spending is the largest line item in the state budget. Pensions and medical together is over half of our state budget. Lawmakers need to be mindful of this before adding to that burden. By rejecting a pension, I am showing my commitment to address the pension crisis without any conflict of interest. Our residents want the state to stop digging itself into a bigger hole and start focusing on real reform and I intend to lead by example. I have spent a great deal of time these last few weeks speaking with a wide variety of residents and business leaders who touch our 47th District. I appreciate the number and complexity of issues at hand. To ensure nothing slips through the cracks, I encourage everyone to provide direct input through a legislative survey that was recently posted to my web site. I will rely on these survey results so that I can appropriately represent the issues and priorities of our 47th District residents. We will face some tough issues during the upcoming Fall Veto Session and I’d appreciate hearing from you! I will read every survey that is submitted, so please take a moment to share your opinions. Click here to get started. Small business is the engine of new economic growth. I have started my own small business, and invested in or advised others. There are critical steps that entrepreneurs face to try to succeed- and there are common-sense ways we can reduce some of those burdens. 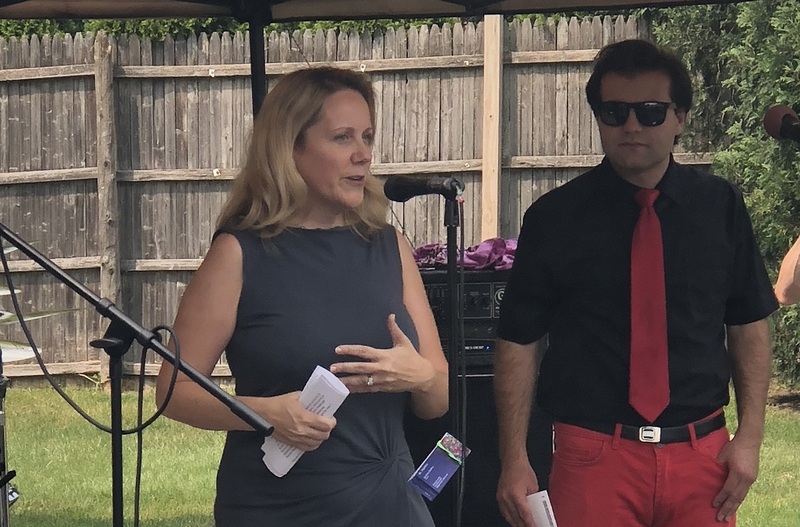 I am committed to the DuPage business community, which is why I was excited to participate in activities that promote and support entrepreneurs and small business development in DuPage County last week. The nature and scope of laws and regulations at both the state and federal level can have a disproportionate impact on small businesses. If we want to support the small business owners who create jobs and drive the Illinois economy, we need to reduce barriers that hinder small business formation and growth. I know from experience and your feedback ways to eliminate red tape that has earned Illinois the reputation as being extremely business unfriendly. 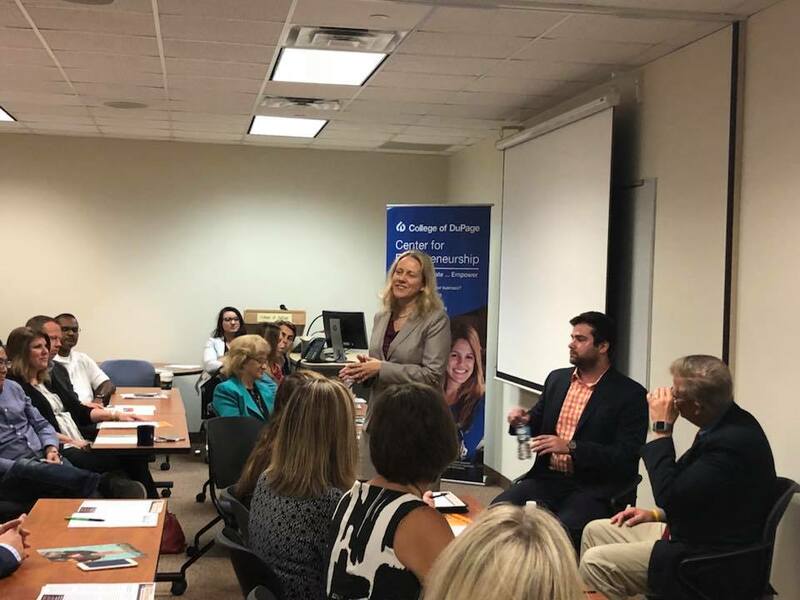 Last Tuesday, I joined Congressman Randy Hultgren and several community leaders at the College of DuPage’s (COD) Center for Entrepreneurship for a round table discussion about entrepreneurship and starting a small business. The discussion, which was done in connection with National Startup Week, was sponsored by Innovation DuPage, which provides educational, governmental, and private sector resources and expertise to entrepreneurs. Members of the Choose DuPage Economic Development Alliance, Argonne National Laboratories, and startup entrepreneurs from ages 17 and up were among the participants in the round table event. The following day, I spoke to members of the Elmhurst Chamber of Commerce and Industry, and pledged my support to the local businesses that create jobs and spur our local economy. In Springfield, I intend to support local businesses by example and through pro-growth business policies. Illinois thrives when local businesses are encouraged to locate and expand here, and pro-business legislation will be an important part of my personal legislative agenda as the Representative for the 47th District. 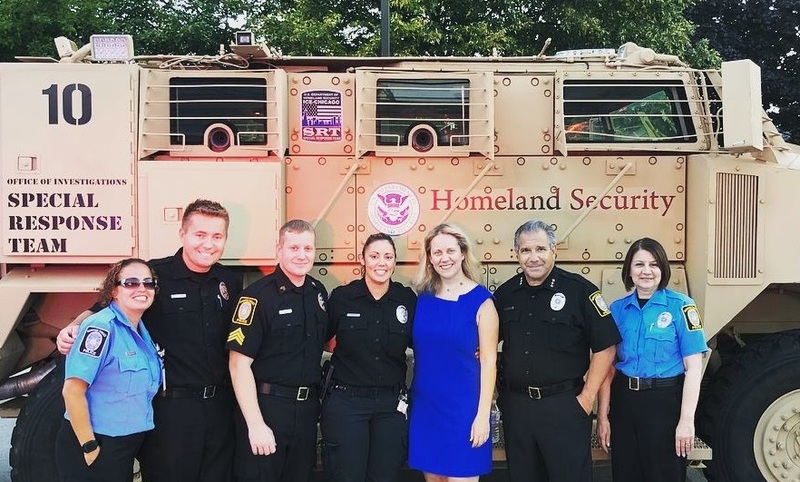 Earlier this month I had an opportunity to attend a National Night Out event with members of the Oakbrook Terrace Police Department and Mayor Tony Ragucci. These events represent a nice way for neighborhoods and communities to come together and promote police-community partnerships. 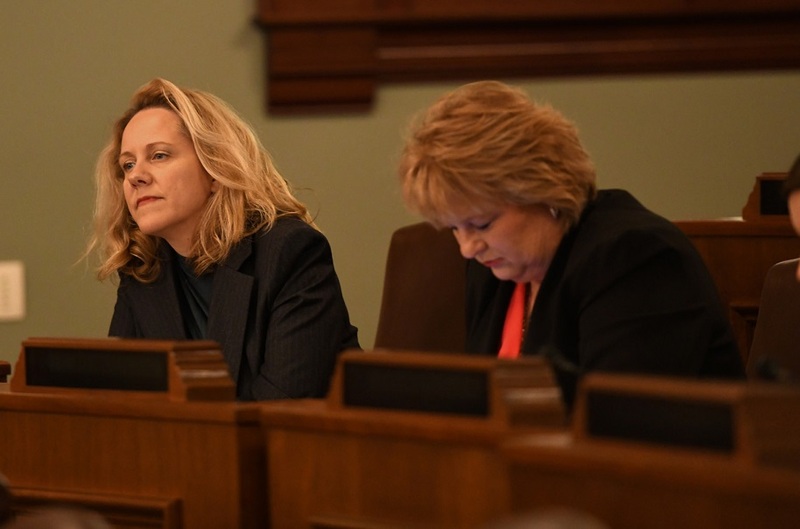 It is critical to have a government that functions with ethics, integrity, and without whistleblower retaliation, so I am pleased to have been chosen to serve on Illinois’ Sexual Discrimination and Harassment Task Force. I attended my first meeting in Springfield on this panel just days after being sworn in. I appreciate that issues of employee mistreatment across state government-including as high up as the Speaker’s Office- has caused members on both sides of the aisle to come together to address this serious issue. But we can’t be satisfied with mere window dressing; we need to see reforms that can be implemented meaningfully. At the meeting, we heard panelist testimony from former Legislative Inspector General Tom Homer, who spoke at length about challenges enforcing conflict of interest and conduct unbecoming a legislator complaints, which largely remain sealed despite legislation signed into law in June (HB 138) amending the State Officials and Employee Ethics Act. I probed Homer about potential reforms in order to avoid in the future long vacancy periods the Speaker and other legislative leaders allowed for the Illinois Legislative Inspector General’s office, which, as the Chicago Tribune described, meant complaints sat on a shelf without being investigated. In addition, an executive policy advisor from Governor Bruce Rauner’s office spoke to the Governor’s Executive Order 2018-08, which likewise seeks to improve the Human Rights Commission’s backlog of cases that in many instances have taken over 4-7 years to resolve, and an attorney from the Illinois Women’s Bar Association detailed the viability of non-disclosure agreements and arbitration clauses as they relate to misconduct investigations. I am glad for the opportunity to bring a fresh pair of eyes to this process and substantively contribute to the work; and I hope that our action plan moving forward, whether through recommendation or further legislation on this critical topic, will be careful and considered to ensure we get things right; that all employees are appropriately respected, particularly when carrying out official duties; while respecting constitutional concerns relating to free speech; separation of powers; and due process. Members of the General Assembly must take serious action to address decades of reckless spending in Illinois. We have to make the difficult decisions, not turn a blind eye to our state’s fiscal reality. I have signed on as a Chief Co-Sponsor of legislation that would significantly reform Illinois’ budget process and help restore the state’s fiscal health. The “Taxpayer’s Fiscal Charter,” filed this year as HB 4229, gives broad power to taxpayers; limits lawmakers’ ability to create new and unfunded entitlement programs; disincentivizes the state from imposing extended non-payment delays on vendors (including private social services agencies that help many of our most vulnerable); stops the flow of unfunded mandates toward schools and local government; and ensures the pension system’s stability. I support this legislation’s disciplinary steps. It’s unconscionable that the ruling party has made Illinois residents suffer the highest effective tax rate in the nation for even more out of control spending. We will only achieve future financial stability through responsible, disciplined budgeting. That means we stop spending money we don’t have and always insist that existing revenues outpace expenditures. This legislation starts that process. 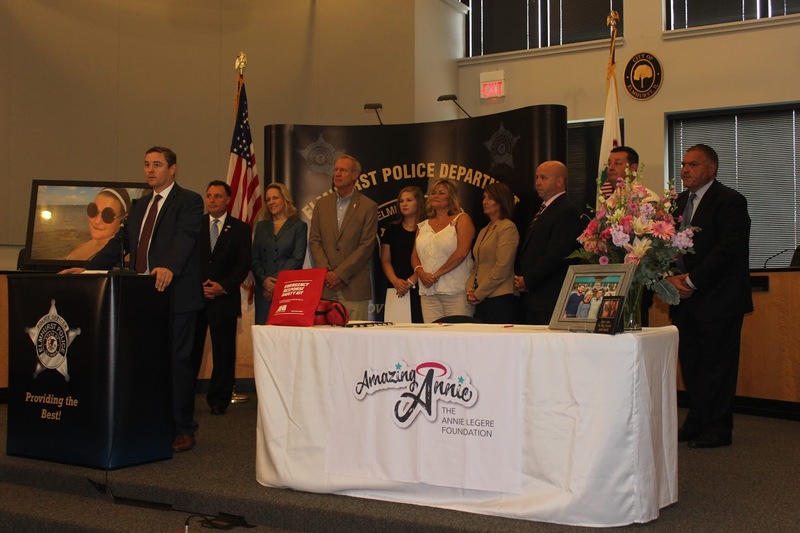 It was my pleasure to join Governor Bruce Rauner, State Senator Chris Nybo (R-Elmhurst) and State Representative Deb Conroy (D-Villa Park) on August 1 for the signing of legislation that will save lives. SB 2226 protects prescribing medical authorities from civil or professional liability when a police officer delivers an epinephrine auto-injection during an allergy-related emergency. The bill was signed at Elmhurst City Hall, and immediately upon its signing, a prescription for the medicine was handed to the Elmhurst Police Department. We all owe a debt of gratitude to Shelly LeGere, who has been a fierce advocate for putting this life-saving technology into the hands of first responders. Shelly’s daughter Annie died at the age of 13 due to a severe allergic reaction while at a sleepover. The original “Annie LeGere Law,” signed in 2016, made Epi-pens available to first responders, and last year more than 122 people were helped through the use of an Epi-pen at an emergency scene. Liability issues prevented most law enforcement departments from utilizing the technology prior to the protections now afforded through SB 2226. The LeGere family demonstrates that some of our best ideas come from our own residents identifying a problem and deciding to do something about it. I encourage everyone to come forward with their thoughts and ideas on how we can make our lives better through better legislation. This year I am co-sponsoring legislation that seeks to strengthen criminal penalties for those found guilty of battering an employee of the Illinois Department of Children & Family Services (DCFS) while, or as a result of, performing duties of their job. HB 4147 extends to DCFS workers the same protections already afforded to police officers and firefighters, by making an attack on a DCFS worker an aggravated battery and a Class 1 Felony. The aggravated battery classification subjects perpetrators to stronger sentences. HB 4147 was filed earlier this year in response to a brutal attack that led to the death of a DCFS worker who was taking a child out of an unsafe home and into protective custody. Since its filing, HB 4147 has garnered strong bipartisan support by 40 co-sponsors in the House. On August 18, I attended the 1st Annual Ride Away From the Darkness Motorcycle Run and Rally in DuPage County. The event, in which more than 50 local motorcycle riders participated, was organized by Westmont resident Chris Svitak, whose son committed suicide nearly four years ago. All proceeds from the ride and rally were donated to the American Foundation for Suicide Prevention. Motorcyclists on two, three and four-wheeled cycles, several of whom had lost someone close to them to suicide, rode approximately 70 miles from the Harley Davidson dealership in Countryside to Walsh’s Bar and Grill in Westmont. I addressed the crowd at a rally that followed the ride and expressed my gratitude to the riders, who paid a fee to participate, and to the families in attendance, many of which had dealt with the loss of a loved one due to suicide. Svitak said he will host the event annually, and has made it his life’s goal to increase suicide awareness and help parents and loved ones identify the signs before it is too late. I will continue to work with and support stakeholders in the community to ensure access to resources that can help those struggling with depression and suicidal thoughts. Those experiencing suicidal thoughts, or who feel they may hurt themselves or others, are strongly encouraged to contact the National Suicide Prevention Lifeline at 1-800-273-8255. Lastly, one of the best things about serving you is that I get to witness firsthand people who are engaged in our civic life; who work hard every day to support their families and help others; and who are working to make our great state better. Even when there are areas where reasonable people of good will may disagree- and we have many challenging issues to work through- I am grateful that people in our district are trying to contribute to the process in a thoughtful, educated, and respectful way. I thank you for that.